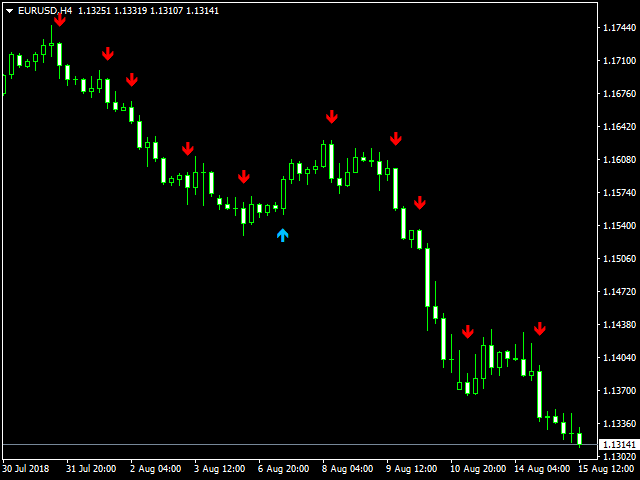 The indicator defines the Bullish and Bearish Engulfing Bar. They are reversal Price Action signals. This means that engulfing bars can be used to capture potential reversals in the market. Engulfing Bars can be played with or against the trend. For an engulfing bar to be valid it must fully engulf at least one previous bar or candle. This includes all the body and the wick. The engulfing bar can engulf more than one bar as long as it completely engulfs the previous bar.